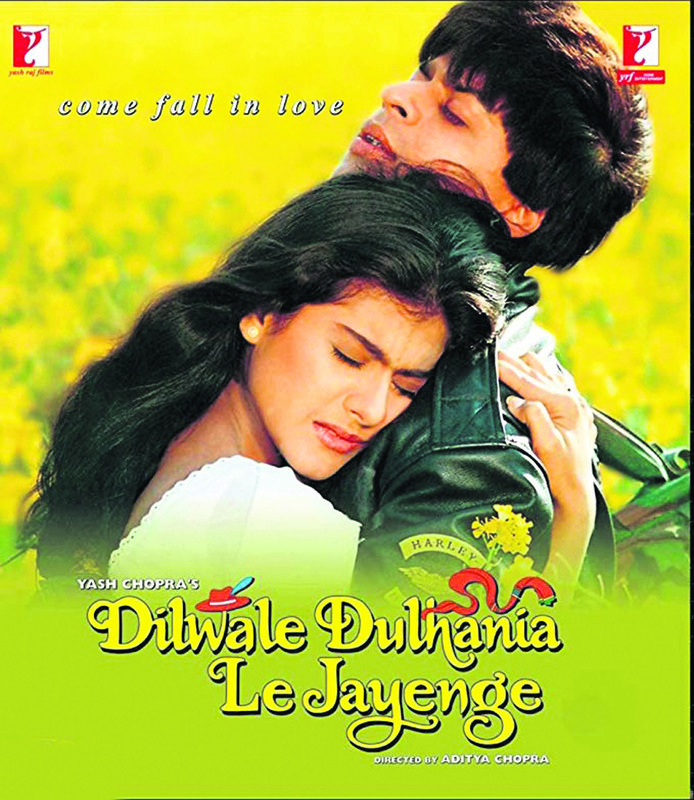 It has been 23 years but Maratha Mandir is still in love with “Dilwale Dulhania Le Jayenge,” which completed an uninterrupted run of 1,200 weeks at Mumbai’s iconic theatre. The 1995 film saw Shah Rukh Khan and Kajol emerge as a romantic heartthrobs in Bollywood, with stellar performances by Amrish Puri, Farida Jalal, Anupam Kher, Satish Shah and Himani Shivpuri, among others. Shah Rukh took to Twitter to express his gratitude for the love and adulation. “A special journey that began 23 years ago, goes on even today. Your love has kept Raj & Simran’s story alive on the big screen for 1,200 weeks non-stop. Thank you for falling in love with us so unconditionally for so many years! #23YearsOfDDLJ (sic),” he tweeted. Kajol added, “1,200 weeks and still running! Thank you all for all the love that you have been showering on #DDLJ for so many years! It was, is and will always be an incredibly special film for all of us.” Fondly called “DDLJ”, the film is remembered for its picturesque European locales and Punjab’s mustard fields, which went to become one of many signatures of the film. Songs like “Na jaane mere”, “Tujhe dekha” and “Ruk ja” by Lata Mangeshkar, Udit Narayan and Kumar Sanu on memorable tunes by Jatin-Lalit still rule the hearts of diehard romantics. Directed by Aditya Chopra, the film completed 20 years in 2015.